If there’s one thing that Dubai can claim to be, apart from the holder of 103 Guinness World Records, it’s entertaining. 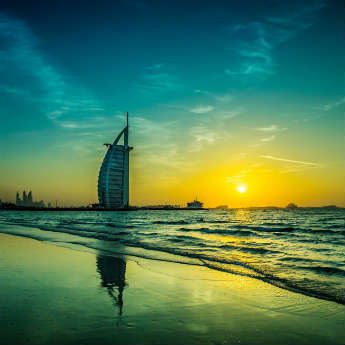 With a massive variety of shopping malls, huge buildings, great beaches and beautiful markets, Dubai is a playground for those looking for fun. 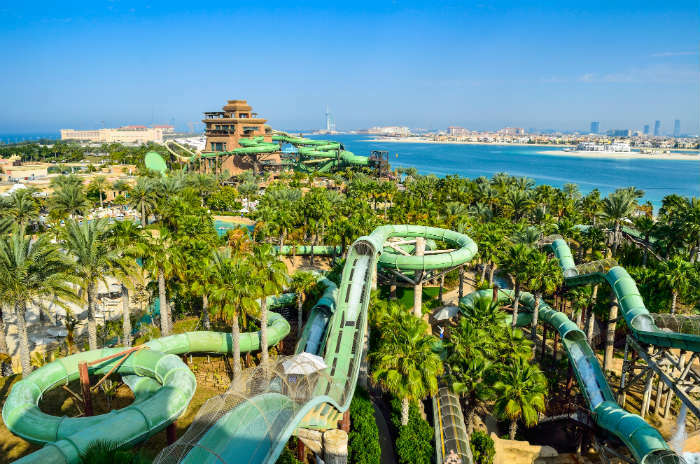 For those looking for an adrenalin rush and a source of pure entertainment though, Dubai also has water parks and theme parks that are just waiting to be enjoyed. We’ve had a look around and picked out the best water parks and theme parks that Dubai has to offer. Based in Atlantis, The Palm, Aquaventure Water Park is a great place to enjoy the sun while keeping cool at the same time. Take on the Tower of Neptune where you can hurtle along the water coasters that blast you out into the lazy river or if you dare, try out The Leap of Faith where you’ll drop down a 9 story tall slide in less than a second! Alternatively, try out the Tower of Poseidon where you can try out Slitherine, Zoomerango or Aquaconda which is the world’s largest water slide! If you’re not a water baby though, there are still fun things to do at Aquaventure Water Park. The Atlantean Flyer Zip Line is the longest zip line in the Middle East and there are great views of the Dubai skyline as you soar 20 metres above the ground. Slightly further along Dubai’s coastline is one of Dubai’s other water parks, the Wild Wadi Water Park. 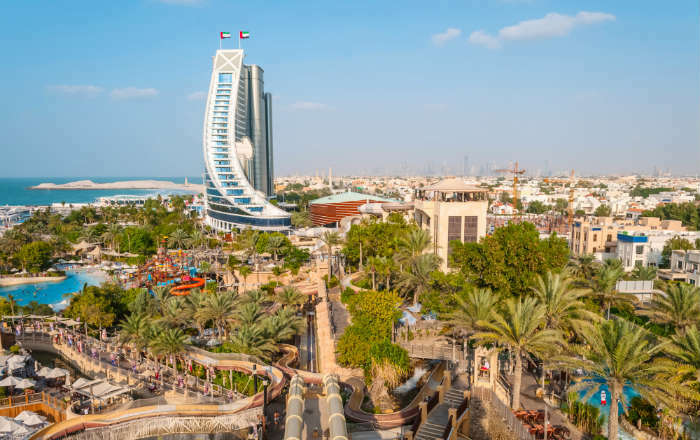 Opposite the 7 star, Burj Al Arab, Wild Wadi Water Park on Jumeirah Beach is home to a huge variety of rides such as the Master Blaster, an aquatic roller coaster that takes dare devil riders 15 meters above the ground. There’s also Jumeriah Sceirah, a pair of 120 metre long slides where guests wait for the ground to disappear from underneath them before hurtling down the slide at 80km per hour! Sporty types will enjoy Wipeout and Riptide, a man made wave where wannabe surfers can hang ten on this ultimate surfing experience! Set to open in October 2016, Dubai Parks is a mega park with 3 theme parks, a water park, an entertainment centre with restaurants and shops and a relaxing Polynesian style hotel which will be the perfect place to stay after the rides. The 3 theme parks include motiongate Dubai, a park which will include the first Hunger Games ride, Bollywood Dubai and LEGOLAND Dubai. It’s set to be an entertaining mega park that creates a world of fun and adventure. And by looking at everything else that Dubai has created in recent year, Dubai Parks won’t be a disappointment. Who would’ve thought that in the middle of a desert, you could grab your skis and hit the slopes? Well in Dubai, that’s exactly what you can do! 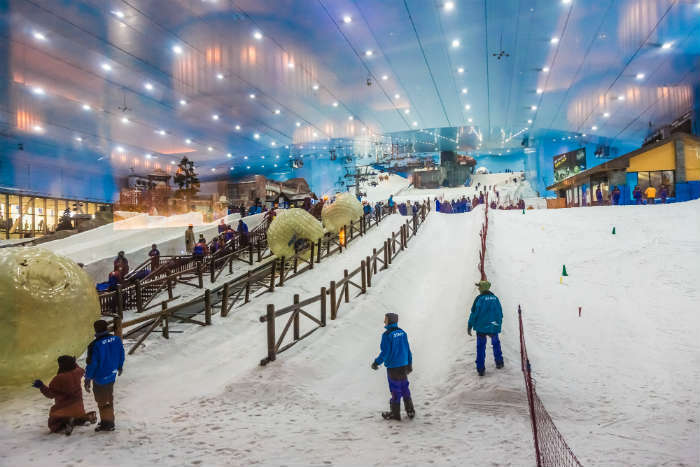 At Ski Dubai, in the Mall of the Emirates, snow sport fans can put on their skis or grab a snowboard and try out the 5 runs which are designed to be varied in their degrees of difficulty. The longest run is 400 meters long which should provide enough snow for any snow sport fan to get their fix. If you’re not into snow sports or have a young family, go see the snow caves, try out the toboggan slopes or have a hot chocolate in the alpine café which looks over the snow. Guests can rent out all equipment, such as skis, jackets and salopettes but will need to buy gloves and hats if required. Have you been to Dubai before? Which water park or theme park would you recommend? Which one of these parks would you most like to go to?